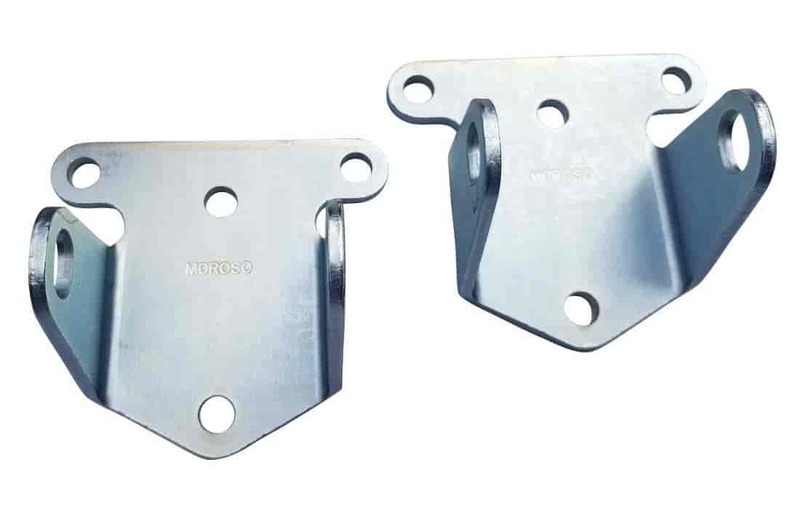 Moroso Solid Steel Motor Mounts replace stock OEM-style rubber engine mounts to stop torque loss and binding linkages, a common result of excessive engine movement. These mounts also eliminate the need for bulky torque straps and chains. Standard models have a protective zinc coating. Mounts sold in pairs. 62530 is rated 5.0 out of 5 by 1. Rated 5 out of 5 by herb63 from Nice fit Bought these particular mounts so my big block will sit a little lower in the car giving me a little extra hood clearance.